Lift Technology alias Elevator Technology is a budding career field which provide ample job prospects in India and abroad. Lift is inevitable for any multistoried building. The mushrooming of multifaceted building like malls, multiplex, showrooms etc. in the cities have created a sudden burst of opportunities in the field of lift technology. 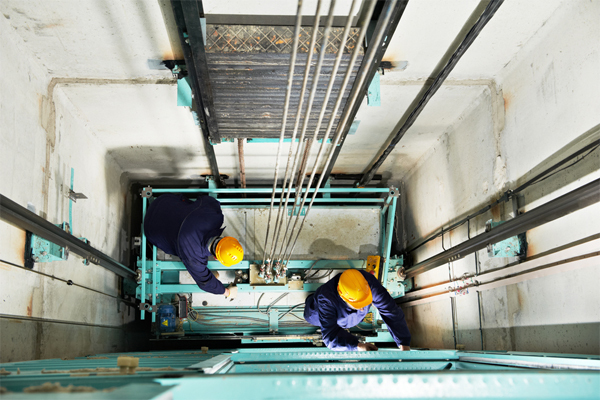 Lift technicians/mechanics are well trained professionals who can handle all the issues connected with the lift, elevators and related equipment. They are responsible for repairing and servicing of lifts, escalators, elevators, chairlifts and other electronic transport equipment in commercial, residential and industrial buildings. The major tasks of lift technicians include installation, testing, maintenance (breakdown & preventive) and renovation of lifts and related equipments; ensuring its safety operation; restoring the damaged parts/break down maintenance, servicing at regular intervals etc. The work of a lift technician requires a comprehensive knowledge of electrical systems, physics, electronics and hydraulics as most of the equipment uses computerized or electronic controls. Many elevators are controlled with microprocessors, which are programmed to analyze traffic conditions in order to dispatch elevators in the most efficient manner. Quite a few placement opportunities are being generated everyday in the field of Lift Technology. In India, several Industrial Training institutes (ITI's) run by government and Industrial training centers (ITC's) run privately both operating under the general guidance of the Directorate General of Employment and Training (DGET), Ministry of Labour & Employment, Union government of India conduct courses in Lift technology. NILT (National Institute of Lift Technology) is one of the major institutes in the private sector offering lift technology course. Placement facilities are also provided by the institutes conducting lift technology courses. Those who have successfully completed the course can get job openings as Lift Engineers, Lift Supervisors, Lift Technicians etc. TUV Rheinland NIFE Academy Pvt Ltd.